Cody Christman - Beerdrinker of the Year: Stift Engelszell - A New Trappist Brewery! I have always prided myself in having solid knowledge of the Trappist breweries. So I was a bit surprised on a recent visit to the liquor store when I noticed a new beer that I had never seen before. It was an Austrian beer "brewed with honey." The origin was a brewery that I had never heard of - Stift Engelszell. Should I spend the $7 for a 1/3-liter bottle? Probably. And then something really caught my eye. 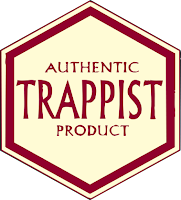 I noticed the Authentic Trappist Product logo. What? There are only seven Trappist breweries, and none of them are anywhere near Austria. I was a bit embarrassed that I had no idea that the beerworld's most famous and exclusive club had added a new member. Now my "probably I should buy a bottle" turned to definitely! 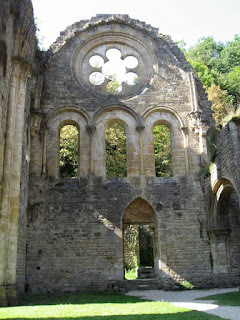 The Trappists are a Roman Catholic religious order comprised of both nuns and monks. The name originated in the 17th century from La Trappe Abbey in France's Normandy province. As a general rule they will only speak when necessary, but they are not completely silent. They also have a reputation of being great brewers. 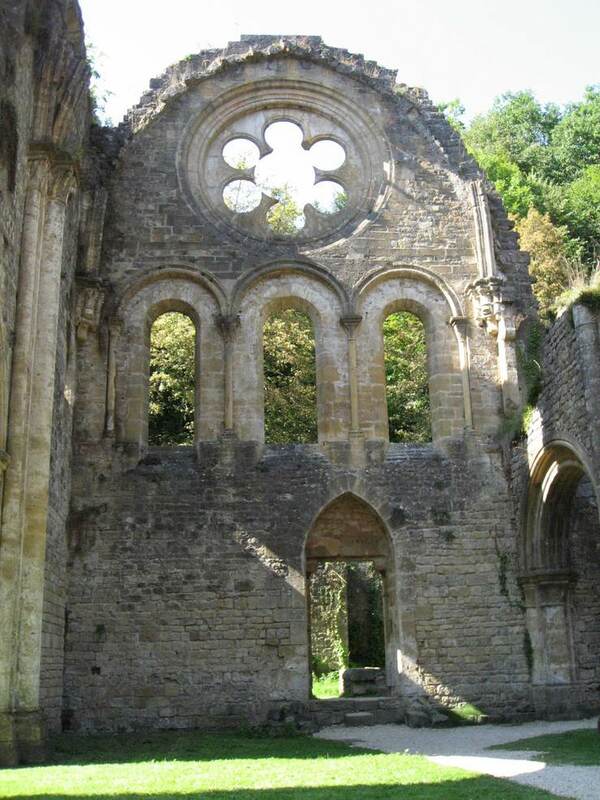 Monastic breweries of various religious orders have existed throughout Europe for centuries, but the Trappists are arguably the most famous. There are a lot of beers with monks on the label. None of these are authentic Trappist beers. Not that there is anything wrong with them, most are superb, and some even world class. Many are brewed for an Abbey, or have historic religious ties, but that alone does not make them Trappist. 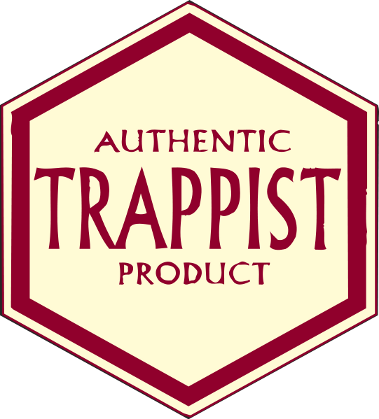 The best way to make sure you know what you are buying is really a Trappist beer - search for the hexagonal "Authentic Trappist Product" logo. This not only goes for beer, but for other products from monastery as well such as wine and cheese. The beer must be brewed by the monks themselves or under their direct supervision. The brewery is of secondary importance within the monastery. The brewery is not intended for profit making purposes - proceeds fund living expenses, and any remaining revenue is donated to charity to help persons in need. Prior to last year there were seven Trappist breweries. Six in Belgium - three from the French speaking south (Orval, Chimay, and Rochefort) and three from the Flemish north (Achel, Westmalle, and Westvleteren), and one brewery across the border in the Netherlands (Koningshoeven). I've visited Belgium several times, and have had pleasure of visiting the ruins of Orval and drinking their namesake in the pub out front. It was truly a treat. Some day I hope to have a chance to visit the others. Last year the Trappist brewery at the Abbey of Engelszell, located in Engelhartszell Austria, resumed production (ceased in 1929), met the requirements to distribute authentic Trappist ale, and became the eighth Trappist brewery. Austria is not near Belgium, the epicenter of Trappist brewing, but there are several other monastic breweries in this country as well as neighboring Bavaria. So Stift Engelszell joining the club should not be a major surprise. The beer I sampled was Gregorius. Ratebeer.com categorizes this beer as an "Abt/Quadrupel" and Beeradvocate.com considers it a "Belgian Strong Dark Ale." The monks themselves call this beer "ein dunkles Trippel." 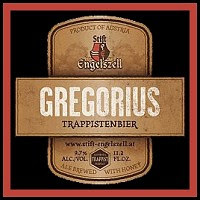 (A dark Trippel) Their description of Gregorius is very interesting because the Trippel style is almost always pale and strong. Gregorius is strong, though not pale. I've never seen or heard of a "dark Trippel." Another interesting tidbit is the use of honey in Gregorius. Austria borders Bavaria, the home of the famous Rheinheitsgebot, which outlaws adjuncts such as honey. So this seemed odd at first, though on the other hand, many of the Trappist cousins northeast in Belgium use candi sugar to boost alcohol and lighten the body of their beers. So I suppose its use by this monastery should not be too shocking. My impression was that Gregorius seemed like a roasty Baltic Porter. Not that the 'legacy' Trappist ales fit nicely into any box (though beers like Rochefort and Westvleteren have similarities), but Gregorius struck me as a bit different. It is definitely the darkest and roastiest of any of the Trappists. It is also the only beer in the exclusive group that is fermented with honey. Though many of the other Trappists use candi sugar. It may take a while to get used to, but I think Gregorius will be a fine addition to a very exclusive club. Stift Engelszell has also released a second beer called Benno. I have not found this beer in the Denver area, but reviews of it exist on the Internet, so it is already generally available. According to the Stift Engelszell website, this beer has only been in distribution since May 30th of this year. Benno is a 6.9% abv "Helles Dubbel." (Light Dubbel) To me this seems like an oxymoron. In general Dubbels are dark beers, and Trippels are light beers. Though, for whatever reason, Stift Engelszell has decided to buck this trend. And just for reference, Quads are typically dark again. Single, Dubbel, Trippel and Quads follow ascending alcoholic strength while alternating colors. For those of you that speak German and would like to learn more about this Trappist order and their products you can visit http://www.stift-engelszell.at. It is interesting to note that in addition to beer the order also sells liquor, spiked chocolates, cheese, honey, honey vinegar, and Trappistenmet (honey wine/mead). It appears that their brewery may be young, but they have a long history in fermentation and cheese making. Enjoy the newest and eight Trappist brewery, and let me know if and where you have been able to find Benno.